It's that time again...time for another Heavy Planet Podcast on Grip of Delusion Radio! 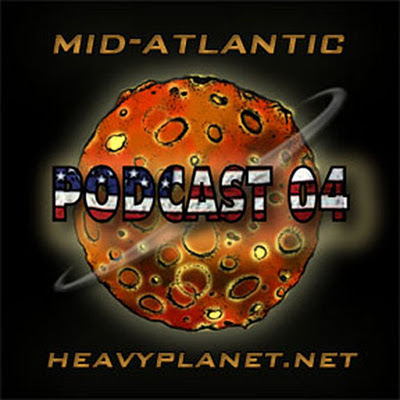 This month we'll be featuring stoner rock, doom and sludge bands from the mid-Atlantic region of the United States. You'll hear some all time classics alongside up and comers...songs you know by heart and songs you probably didn't even know existed. So tune in this Sunday, January 22nd from 4:00 to 6:00 PM EST to take a ride with us up the Eastern seaboard of the United States, from North Carolina to New Jersey...this is gonna be one wicked trip! 10 Borracho - "Grab the Reins"
Click HERE to download previous podcasts.